Elephants will be able to have up to 3 players riding them with 1 driver and 2 players on either side to fight. Elephants will also be used for moving siege equipment. Elephants are currently owned by guilds and will require a guild house to feed and raise them. To catch an Elephant you will need to buy Peanuts from a Guild Manager. These will cost 50,000 silver each and I would recommend buying at least 3. You will also need to buy capturing ropes from a Stable Master. Depending on how much experience you’ve had with catching horses, buy between 3 – 10 ropes. Once you have found an elephant you can begin to capture one. Be careful of nearby mother elephants because they will come to attack you when you throw the rope. It is safer to kill the mother before attempting to capture the baby. When you are ready, right-click the capturing rope to use it. Aim the rope and left-click to throw it. A bar will show up on the right and you need to press the space bar and land it in the red area of the bar. You cannot let the bar go up and down, you only have one chance to land it in the area. If you miss the area or don’t press the space bar you will lose the capturing rope. If you manage to get the rope over the elephants head you will now be able to start moving towards the elephant using W,A,S and D. If you see the elephant start to pull away from you, press the space bar to start the mini-game. If you do not press space bar in time you will lose the elephant and have to try again. To win the mini-game you will need to repeatedly press the space bar for 10 seconds. When the 10 seconds are over you need to make sure it is on the “winning” side of the bar at the top. Repeat this process until you are close enough to feed the elephant the peanuts you bought. The elephant will now follow you. Be careful because it will have a health bar and other players can attack your elephant and kill it. Once you get back to the Stable Master, register the elephant. The elephant will now be an item in your guild warehouse which weighs 800LT. Do not attempt to remove the item or it could be deleted. From here you will need a guild house to feed them and raise them. Unfortunately, guild houses are not currently in the game. The miniature elephant mount can carry one person an is used to transport trading goods across Valencia. Although this adorable mount moves quite slowly, it is much more efficient than using a horse or walking as it can carry more weight. At level 1 it has a maximum weight limit of 830LT as well as 16 inventory slots. The elephant can go up to a maximum of level 15, at which it can carry a maximum of 1200LT. Once you have your elephant you will need to feed it Carrots (just like a horse) to increase it’s stamina/endurance. 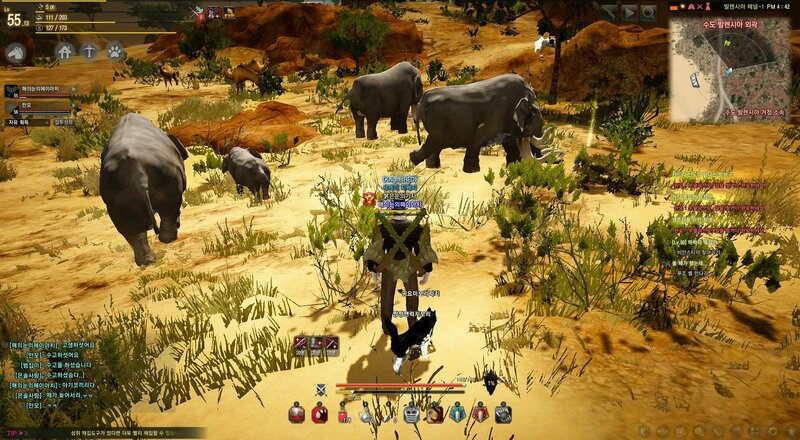 The miniature elephant is only obtainable by following a short quest line in Valencia. You will need a total of 35 million silver to complete the quests, make sure this is changed into 5 x 10G bars and 3 x 100G bars and brought with you. You should also bring 20 Empty Bottles with you to save time. Go to Shakatu’s Villa just west of Shakatu village in Valencia. Buy a 7 day pass at the Villa Keeper “Dumaham” just outside the entrance. 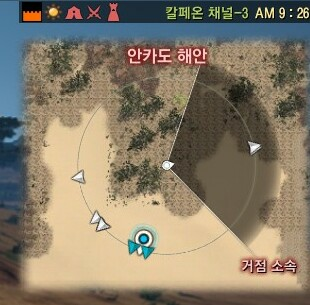 This is where you will spend 5 million silver. Once you have your pass, head inside and talk to the Villa Butler “Serazad”. She will have a quest for you which will send you to Shakatu village to pick up a permit. The permit costs 30 million silver and will unlock the rest of the quest line. If the quest does not show up, press “O” to open your quest log and make sure “all quests” is selected at the bottom. You will need 20 Empty Bottles for this part of the quest. If you brought some with you, there is a small fountain outside of the villa where you can gather the water. If you didn’t bring them with you, they can be bought at the material merchant in Shakatu village. There is a small body of water at Shakatu village where you can gather the 20 bottles of water required for the quest. Stand in the water then right-click the empty bottles in your inventory to start gathering. Once you have enough water, go back to Shakatu villa and give the water to the elephant outside the Villa entrance. This quest requires you to gather a total of 100 weeds. 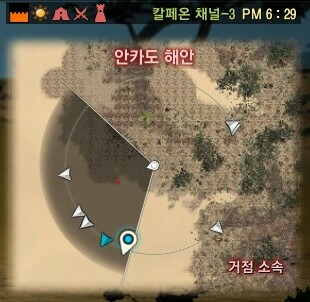 There are various bushes around Shakatu and south of the villa that you can gather the weeds from. Star Anise trees at Shakatu farmland and Date Palm Trees in Shakatu will give you weeds. Once you have gathered 100 weeds, you must go back to the elephant outside the villa and feed it. Next, you must go back inside and talk to Serazad. She will send you back to Shakatu village to talk to the stable master “Batirma”. After talking to the stable master, you will be gien a registration token which can be handed in at any stable. In addition, you will also require 2 x 100G bars (20 million silver). The quest will give you a “Haystack for Elephant” as a reward. This needs to be placed on a farm (garden/fence) and takes up 10 grid spaces. Once the elephant is fully grown, you can harvest it like a normal plant, to obtain a Miniature Elephant registration token. Camels came into the game with the Valencia Patch Update. In the Valencia desert, horse have limited movement and skills, so camels are the best way to travel. Once you have your camel you will need to feed it Dry Thicket to increase it’s stamina/endurance. The quest takes only a few minutes to complete. The only requirement for this quest is that you must be level 54+. Go to the stable master “Bochlo” in Sand Grain Bazaar in Valencia and pick up the quest Your Best Friend in Desert. You must gain 3 pieces of knowledge by talking to NPCs around Sand Grain Bazaar. The quest is straightforward but can only be completed once. As a reward, you will be given a Light Brown Camel Voucher which can be registered at the Stable Master. You will need a level 26+ horse of any tier. You can then exchange this horse for Imperial Taming Seals at any Stable Master. The amount of Seals you get for your horse depends on the tier. For example, a tier 3 horse will give you 3 Seals. 5 Imperial Taming Seals can be traded for a Camel mount at a Stable Master in any town in Valencia.